David Brin is an award winning American author of hard science fiction and is also a scientist. He has so far received a number of Hugo, Locus, Campbell and Nebula awards and has been nominated for most of his works. He has also received much acclaim for his work, and he has raised much fierce debate with his criticism of both Star Wars (for being anti-democratic) and the Lord of the Rings (for being devoted to a traditional elitist social structure). Among his most noted novels are the "Uplift Universe" series and "Foundation's Triumph" which completes and ties up the loose ends of Asimov's Foundation Universe. Jacob is good at solving problems. 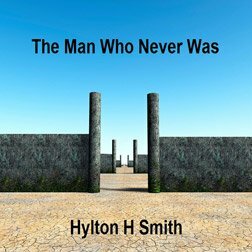 He?s your basic Sherlock Holmes and Bruce Lee rolled into one kind of hero. He is also very good at solving his personal problems. Or so he thinks. Actually he isn?t very good at solving his personal problem and he is a lot more messed up inside than he thinks. Which makes him rather interesting. Sundiver takes place a couple of hundred years after humanity started uplifting apes and dolphins and after we contacted the Galactic civilisation. Mixing a set of old earth technologies with new stuff we are learning from the library, which we are buying from the aliens, a team is investigating the sun by flying into it. What they find is a bit unexpected, and this is where Jacob enters the pictures. Soon he has to juggle his own batty mind, with a murder investigation and a handful of touchy aliens. Sundiver may be an Uplift Novel, but there?s isn?t really that much uplift about it. Mostly it?s a detective story, a good old fashioned who-did-it tale, which uses the background of the Uplift universe to motivate the characters and set the scene. I did find the first quarter a bit slow and stale, but it soon picks up speed and as soon as Jacob is off to Mercury and the sun, there?s no stopping this story. I didn?t really like Jacob much, but I did like the other characters, especially the aliens.